Build visibility and awareness for your brand. Gain widespread exposure to your target audience including potential investors and stakeholders. 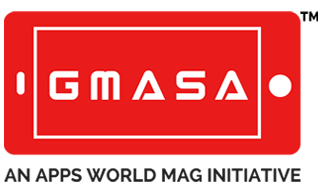 Benefit from GMASA’s extensive local and global promotional activities, both in online and print media. Connect and network with peers and key players in the industry. Potential opportunity to participate as a speaker or panelist in one of the biggest mobile events. Exclusive and prominent brand placement. Social Media Promotions on GMASA Social Network Pages and affiliated pages. Brand and logo promotions on all signage/banners/backdrops at the event location. Opportunity for product placement and direct engagement with GMASA executives and event attendees. For more details about sponsorship packages, download our MEDIA KIT now.